The last of the bye rounds went off with a bang as Josh Childress smashed out the biggest score of the season without re-injuring himself. We now head into the home straight with our trades starting to run low. 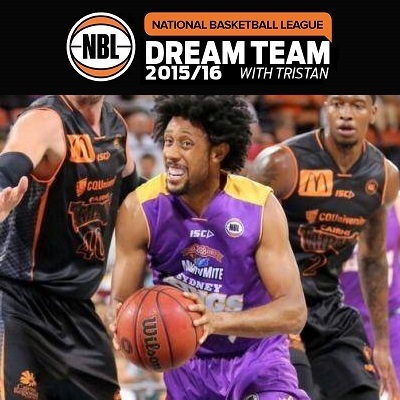 Josh Childress delivered big with two huge games and the biggest round score this season. I had even odds on him getting re-injured, but congratulations if you took the punt to bring him and double congrats if you gave him the captaincy. Daniel Kickert has been on fire since missing a game with injury and didn’t miss a single shot. Shaun Bruce was the second highest scorer for the week and almost broke the scale on my value chart, being barely above minimum value. Jordair Jett performed a clean sweep of all three disaster categories in one of his worst matches of the year. There were a fair few players who missed this round completely though and it was pretty bad luck if you happened to have one of them, although Stephen Weigh was the biggest surprise and hurt the most people. Marcus Thornton (16) was the biggest disappointment of the players who played double matches. With only six weeks of NBL Dream Team left for the year we should be looking at finalising our teams and generally only bringing in players who we are happy to keep for the rest of the season. Adelaide, Cairns, Illawarra and New Zealand all have 10 remaining matches, while the other teams only have 8 left. If you don’t have AJ Ogilvy or Kevin Lisch you should probably be looking at one of them also, although Illawarra and Cairns are the only teams who do not play a double match in the last round of the season. It’s hard to believe Oscar Forman is so cheep but opposition teams have been attacking him and getting him in foul trouble. He has the potential to score big though. Shaun Bruce was in career best form and loved it. Expect him to keep delivering great points for as long as Starks is out and possibly longer if Aaron Ferne decides that it’s a good look for the team. Captain choices are a bit of the obvious this week with the Illawarra Big 3 leading the way. If you don’t have any of the above then Mark Worthington also might step up, or alternatively Josh Childress could be good off just a single game. Cairns and Illawarra are the only teams with double matches this week. Lockout is on Wednesday at the usual time of 7:30pm AEDT. Te-Rangi has been really inconsistent all season while Bartlett simply isn’t getting enough court time recently and has averaged 2.6 over his last 6 games. If you’re looking for an absolutely minimum price player and wanting some points then you should look at players like Greg Hire, Igor Hadziomerovic, Jerome Hill or Brendan Teys. These guys all get on court consistently and have previously shown potential to score some decent scores. In a very similar position Vishnu, thinking only way im getting chill is getting rid of Lisch/AJ and the only way I see that is before last round. Thoughts on Prather to Chill and Beal to Walker or White ? Team would be : Penney, Chill, AJ, Lisch & Gliddon. Bench : Majok, Walker, Brandt, Blanch & Webster. Have to get a 53 k and under player to get Chill in by trading Beal.